My ideal weekend. 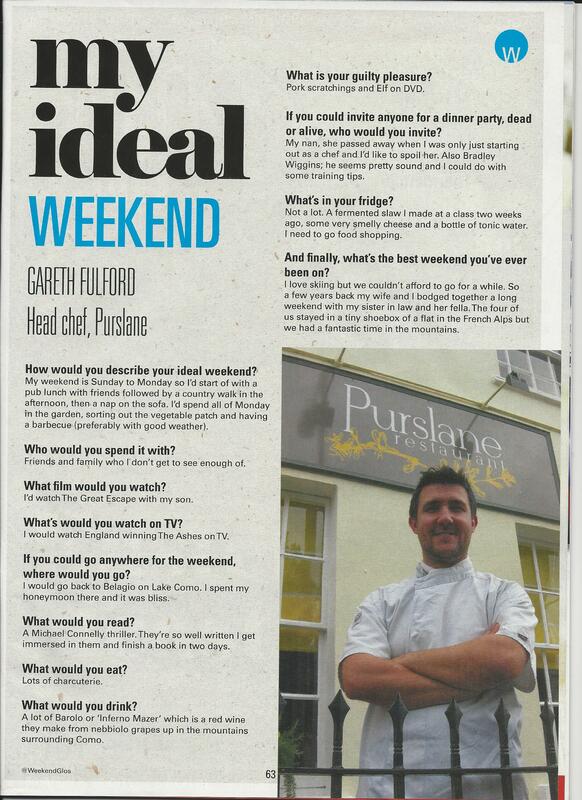 Gareth Fulford, Head Chef, Purslane. My weekend is Sunday to Monday so I’d start off with a pub lunch with friends followed by a country walk in the afternoon, then a nap on the sofa. I’d spend all of Monday in the garden, sorting out the vegetable patch and having a barbecue (preferably with good weather).